If you have heard about the infamous drug lord known as Pablo Escobar, you certainly need to know more about his base of operations – the Medellin Cartel, which he grew to become one of the most ruthless cartels in history. The Medellin Cartel ran highly organized operations in Medellín, Colombia, that made them so feared in the area, enabling them to stretch their activities to cover Colombia, Central America, Bolivia, Panama, Peru, Canada, Europe and the United States within the period of the 1970s and 1980s. At its highest point of success, the Medellin Cartel was able to smuggle tons of cocaine into these countries and rake in an amazing 60 million dollars of daily profit. They were considered to be the suppliers of 80% of the cocaine used in the United States. Considering that in the late 1970s, the illegal cocaine trade was a major source of profit, the Medellin Cartel made a killing easily. Who Were The Medellin Cartel Members? Such a highly organized cartel was no doubt bigger than one person. A number of people contributed to making sure that the cartel’s operations ran smoothly and although we may never know them all, a few names must come forward whenever we are discussing the Medellin Cartel. Below, we look at a few of the most famous members of the cartel. Before and after his demise, Pablo Escobar was the most popular member of the dreaded cartel. He came to be known as the King of Cocaine and has been recorded as the wealthiest criminal in history with his estimated net worth at death placed at $30 billion. He was the public face of the cartel, the one who all the authorities invariably sought to bring down, but Escobar had some able lieutenants working by his side to ensure the continuity and prosperity of the cartel. Carlos Lehder was another cartel member. He was an expert in flight trafficking and would organize flights to South Florida through the Bahamas. He and his partner made use of small biplanes that could fly undetected and land on unmarked dirt roads. George Jung is the partner of Carlos Lehder (mentioned above). He was also an expert in flight trafficking and together, the two ensured the transport of drugs using planes. Another member of the Medellin Cartel, necessary to mention is Gustavo de Jesus Gaviria Rivero. He was Pablo Escobar’s cousin and therefore, he was trusted by Escobar to operate the cartel. He was the man behind the scenes, developing the routes that the cartel used and keeping things in order while Pablo Escobar was out in public making a name for himself. There are a lot of very terrible stories about the Medellin Cartel but a few of their activities and mode of operation stand them out. 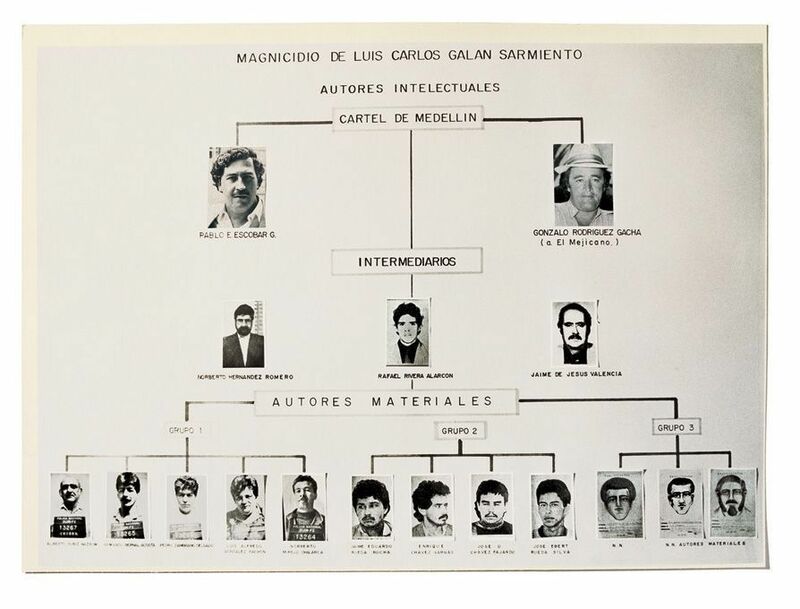 Below, we will list some of the facts you need to know about the Medellin Cartel. When the authorities began a crackdown on drug smuggling activities, the Medellin Cartel sought and found alternative measures that saw them hide their drugs in shipments of legal items like fruits, wine, cocoa powder and even clothing. The drug would then be extracted by chemists once the goods reached their destination. The cartel was also constantly changing its channels. The interaction of the cartel with locals in their different channels led to the formation of new cartels some of which were the Juarez, Sinaloa and Tampico cartels. The cartel was also quite deadly. The number of murders that they carried out over the years have been suggested by experts to be above 4000. These murders included journalists, police officers, judges and even politicians who stood in their way. They killed a Colombian presidential candidate named Luis Carlos Galan, just as he was about to go on stage to address 10,000 people. Pablo Escober and his Medellin Cartel were responsible for the deadliest criminal attacks in the history of Colombia. While trying to assassinate another presidential candidate named Cesar Gaviria Trujillo, they bombed an Avianca Flight 203, killing 107 people at a go. The implementation of an extradition treaty between Colombia and the United States was the greatest threat to the Medellin Cartel as it would have allowed them to stand trial for their crimes in the United States and their incredible local influence would have been unable to save them. The cartel, therefore, resorted to many acts including bribery, extortion and violence to ensure that they killed the treaty. When they failed to influence the Supreme Court justices, they resorted to kidnappings, murder and terrorist activities. Pablo Escobar was killed on his 44th birthday after he stayed too long on a phone call, allowing it to be traced and enabling the authorities to surround his house and gun him down when he tried to escape from the rooftops. The Medellin Cartel did not shut down with the death of Pablo Escobar. Its well-organized networks and routes are still used to transport drugs out of Colombia. By 1993, however, most of Pablo Escobar’s lieutenants were rounded up and executed.